Salute to Excellence serves as an opportunity to acknowledge our volunteers’ unwavering dedication to 4-H Youth Development. Wisconsin has many outstanding volunteers: Here is your opportunity to nominate someone from your county to be considered for the Outstanding Lifetime Volunteer Award or the Volunteer of the Year Award. The Outstanding Lifetime Volunteer Award is given to an individual who has spent 10 or more years volunteering for 4-H. The Volunteer of the Year Award is given to an individual who has volunteered for 4-H less than 10 years. The Volunteer of the Year Award is for individuals who have served as 4-H volunteers for less than 10 years at the local, county, district or state level. The Outstanding Lifetime Volunteer Award is for individuals who have served 10 or more years at the local, county, district or state level. A completed nomination will consist of an overview resume of the applicant’s 4-H and relevant community volunteer experiences and three (3) letters of recommendation. A template for the resume is provided and should be followed in developing the nomination packet. A packet missing any of the four components is eliminated (resume & 3 letters). Demonstrated ability to work with young people in a way that promotes youth empowerment, decision-making, problem-solving, meeting challenges, mastery. Nominee’s innovative approaches to performing volunteer service, recruitment of additional volunteers, partnering with other youth serving agencies, fundraising, providing other resources for 4-H, advocacy for 4-H, etc. Letter writers should be aware of the scorecard and address the relevant points in developing their documents. 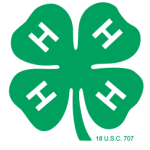 Application materials must be submitted by a nominator to the nominee’s State 4-H Office. Each State 4-H Office will select one nominee for each category from its pool of nominations, to be submitted for the regional award. Two recipients will be selected from each region; one for each category mentioned above. From the eight regional winners, one person from each category will be named the national award recipient. Each completed application must be accompanied by three letters of recommendation. Letters of recommendation should be written by individual who can best describe the nominee’s qualifications such as 4-H youth participant, another volunteer, 4-H staff person. Letters should be no longer than 2 pages in length, in 12-point font with 1-inch margins. A resume of 4-H experiences and community service must be included and should follow the template provided. It is limited to 2 pages in length, in 12-font with a one-inch margin. Regional winners will be announced by February 1, 2018. Each regional winner will receive a personalized plaque, and $200 cash award to be donated to a local 4-H program of their choice. National winners will be announced in April 2018, National Volunteer Month and will be recognized on Friday of National 4-H Week during the 2018 Heritage Luncheon held at the National 4-H Center in Chevy Chase, Maryland. Each will receive a plaque and $1,000 cash award to be donated to a local 4-H program of their choice. The Wisconsin 4-H Hall of Fame was established to recognize 4-H volunteers, financial supporters, staff and pioneers who made major contributions to 4-H at the local, state and national levels. The honorees represent 4-H in the broadest sense. Since 1914, Wisconsin 4-H has helped youth grow the leadership, critical thinking and communications skills necessary to be successful in a constantly changing world. To learn more about the individuals who supported 100 years of growing Wisconsin leaders, visit the Wisconsin 4-H Hall of Fame website.